Is there a non-surgical option to a nose job? Rhinoplasty: Over 350,000 people in the US each year undergo this surgery making it one of the most common plastic surgeries. What is it? Rhinoplasty is nose shaping surgery commonly performed for patients who want to improve the appearance of their noses either for cosmetic reasons, after accidents, to improve the airways for better breathing. Is there a non-surgical procedure/option? Sometimes injectable fillers such as collagen or calcium hydroxyapatite or fat taken from another part of the body can be used to enhance the look of the nose. This is called “injection rhinoplasty” and is an alternate option to surgery when appropriate. If I have fat removed through liposuction, will it reappear elsewhere? After repeated Botox injections, will facial muscles ever lose the ability to frown? No. You may need less Botox over the years, but if you stop having injections, frown lines will return. Regularly paralyzed muscles don’t forget how to frown, unless they lose their nerve supply altogether. However, the habit may be modified if it is difficult for the brain to activate these muscles and gradually habitual frowning may diminish simply through lack of use. Is it always possible to change something about your body? As a plastic surgeon who has operated on thousands of patients, I honestly try to do anything reasonable to make it better, if it’s possible to improve it. The problem comes when it’s not possible to improve it. Sometimes you can’t take away scars. Areas of the body could be botched beyond repair from previous plastic surgery. You can’t always change what genetics gave you. Sometimes people have Body Dysmorphic Disorder and have a skewed, unrealistic view of how they look. These are the most difficult cases. Should I place my implant over or under the muscle? Breast implants can be placed over or under the muscle on the chest. There are advantages to both. During your consultation, your physician will explain your options and make some recommendations for your lifestyle, body type, and desired results. Absolutely. Botox, and competitors like Dysport and Xeomin, are highly purified toxins that can temporarily erase or reduce horizontal forehead lines, vertical frown lines, and crow’s feet. The injections slow muscles that contract hundreds of times a day, eventually etching lines in the skin. Botox can also lift the corners of the mouth that sag with age, smooth out the “pin cushion” look in some chins, soften smoker’s lines around the mouth, and soften vertical neck cords. Some women believe that if they have a face-lift, they are doomed to repeat the operation in a few years. In fact, a lift lasts between five and ten years, with seven years being the average. By then some of the changes of aging will have returned. Surgery for facial rejuvenation is an ongoing process, with periodic maintenance. And ten years later a woman who has had a face-lift will be better off than if she had not. 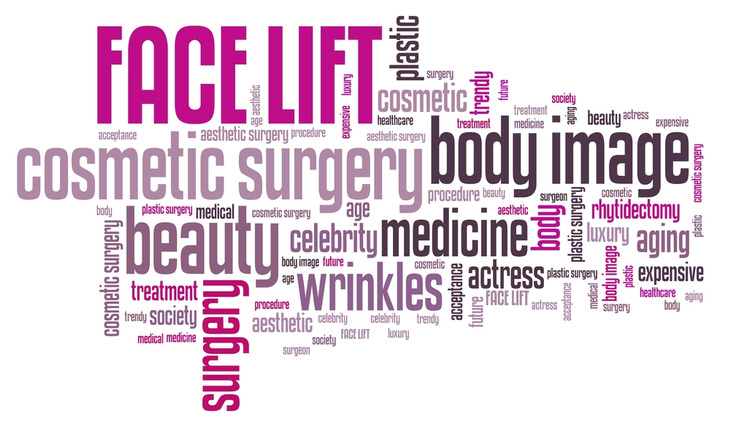 What is the optimal age for a first face lift? Facial aging changes start to become noticeable in the late 30’s for most people. As these changes progress through the 40’s and 50’s, deep facial lines caused by skin folds and loss of facial volume from fat loss create permanent skin changes that are difficult to correct with a facelift alone. Taking action early, in your 40’s or 50’s by having a facelift or volume enhancement with fillers or fat will help prevent these permanent changes.